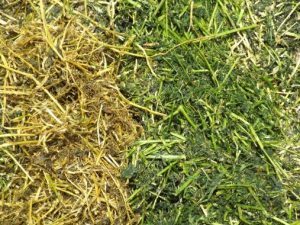 To produce the highest-quality silage it is crucial to remove air during ensiling and stop the re-entry of air back into the silage. This attribute requires the rapid application of plastic to the forage. Ideally, if the forage is in a bunker, the silage will be sheeted overnight; if it takes more than one day to the fill the bunker then fresh forage should be applied to the bunker prior to re-starting compaction the following day to stop air being drawn back into the ensiled forage. 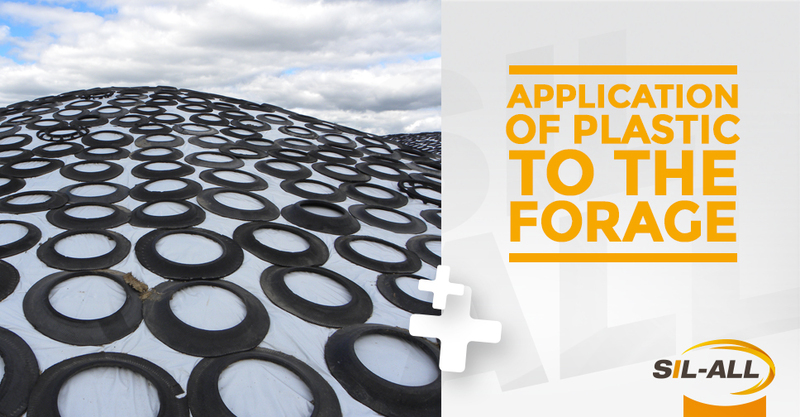 If the forage is baled, the plastic should be applied in sufficient layers to stop air entry. 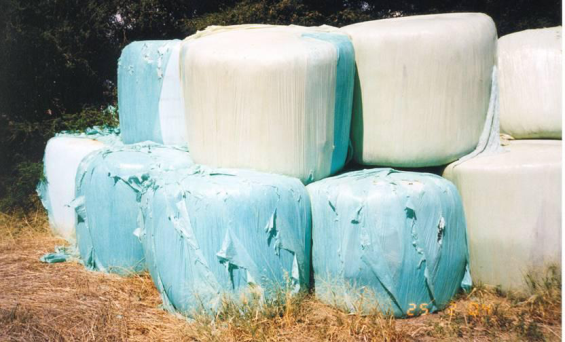 Studies at the Institute of Grassland and Environmental Research (IGER) suggests six layers of wrap are optimal, within 6 hours of baling. Production of silage plastic is, in its simple form, achieved through the melting of various core ingredients within a dye and blowing a controlled jet of air through the molten plastic. The physical properties of the plastic (UV protection, oxygen barrier, puncture strength, and tear strength, etc.) are a result of the properties of the individual raw polymers. 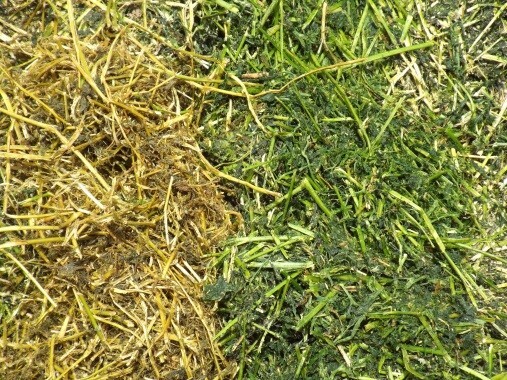 The image shows ensiled alfalfa that has been covered for a 1-hour period or left open to the atmosphere (right side). The alfalfa on the left hand side has already started to ferment and preserve the feed value and digestibility. 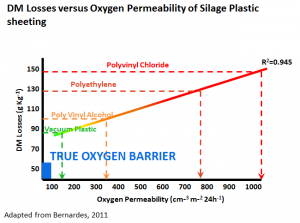 Different plastics have different permeability to air which dramatically impacts the ensiling loss from the top of the storage system. 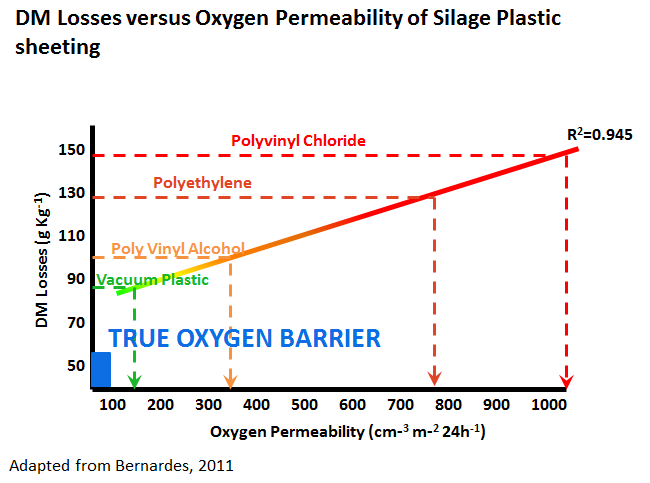 One of the key figures of interest is the “Oxygen Transmission Rate” (Oxygen permeability) or OTR which defines how much air can pass through the plastic – many plastics are called “Oxygen Barrier Plastic” as they have reduced OTR compared to standard “white on black plastic”, but they should only be classified as oxygen barrier if the OTR is less than 70cm3/m2/24hr. 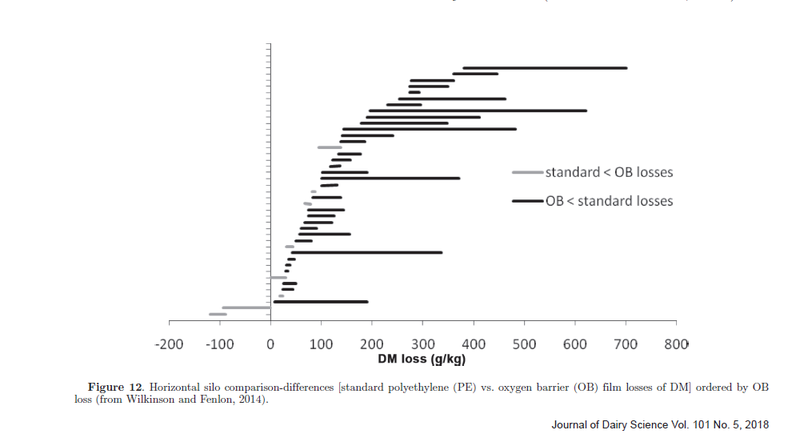 Independent comparison has cost the benefit of true oxygen barrier films against polyethylene films as between €2.00/T fresh and €4.50/T fresh matter (Borreani + Tabacco and Bolsen, respectively), with Wilkinson showing DM losses significantly lower when using oxygen barrier plastic compared to standard poly ethylene plastic (Borreani et al, 2018). 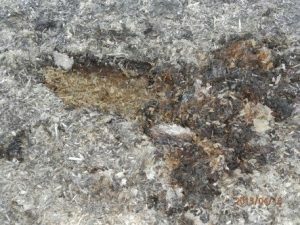 Globally, certain farms still refuse to use plastic on top of the bunker/drive over pile, preferring to allow the micro-organisms and air to form a “crust” on top of the ensiled forage. These practices lead to very significant dry matter loss and a layer of “unusable silage”. 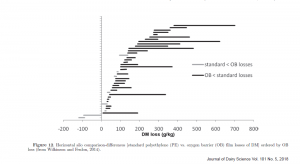 In well compacted bunkers the dry matter losses are approximately 80 percent in the top 25cm of the bunker, 25 to 50 percent in the next 25cm and up to 20 percent in the next 25cm, whilst in lesser compacted bunkers the losses are significantly higher (Bolsen 1993). 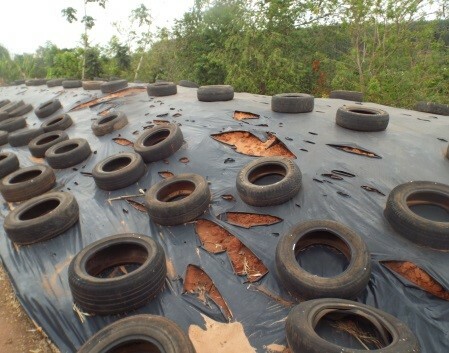 Plastics are guaranteed by the manufacturer for a period of 12, 18 or 24 months but it is important to ensure that the guarantee is for the UV conditions where the plastic is to be used as once the UV protection is lost, so is the protection to air entry into the bale or bunker. The UV index defines the strength of ultra violet in the sun at a specific location. The index changes significantly with flexing latitude and time of year, meaning that silage plastic exposure to UV is markedly different between countries, and that the UV barrier of the plastic needs to be appropriate to the location of use – below bales have been wrapped in locally sourced plastic. If the plastic appears to be exceedingly cheap, there is reason to question the quality. 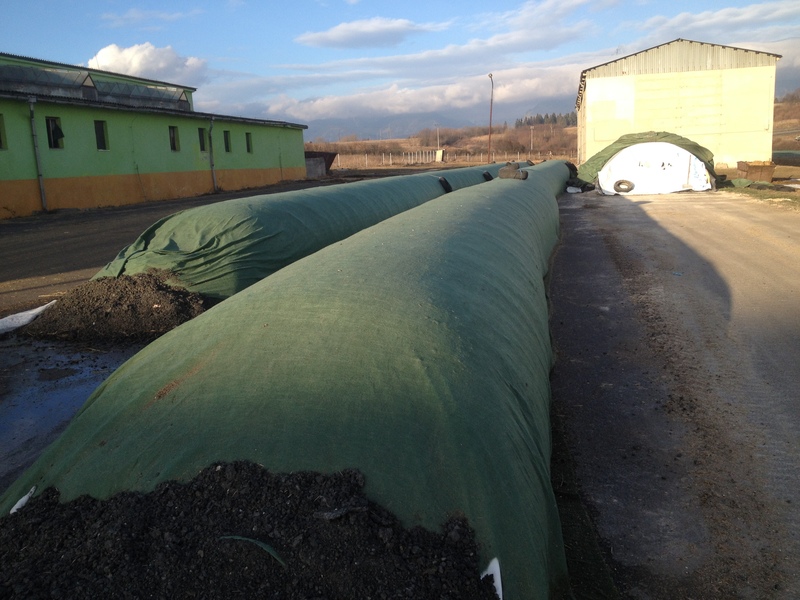 The farm sometimes has opportunity to store the silage for a period longer than a year – this can be high desirable with certain crops (corn silage) where the digestibility of the starch continues to increase through storage beyond a 1-year period. Where storage beyond the expected shelf life of the plastic is targeted, the storage structure should be protected by use of a shade cloth and (if possible) positioned in an area that has a minimum number of sun hours. Shade cloths are appropriate for all ensiling systems and protect the plastic underneath both from UV and animal damage.